﻿ Ronaldo: "I've always dreamt about winning the Champions League with Real Madrid"
15.05.2014 » Ronaldo: "I've always dreamt about winning the UCL with Real Madrid"
Cristiano Ronaldo granted a short interview to UEFA this Thursday, where he confessed that winning the Champions League for Real Madrid is a dream he has had for a long time. The Merengues will face Atletico Madrid in the tournament's final on May 24 and the game will take place in Lisbon (Portugal), a city that certainly still holds a special meaning to Ronaldo. The countdown for the UEFA Champions League final is already on, as we're now only 9 days away from going into the last game of the tournament. This intense match will be disputed by Real Madrid and Atletico Madrid, making it the first derby final in the Champions League history (a final between two teams from the same city). In a talk had with a couple journalists from UEFA, Cristiano Ronaldo explained what it means to him to have the opportunity of winning this trophy as a Real Madrid player, as well as how he perceives the danger that comes from such an organized and fiesty side such as Atletico Madrid. In the meanwhile, the Spanish League meets its final fixtures this weekend and even though there's not much at stake for Real Madrid in their home game against Espanyol except perhaps helping Ronaldo securing his Pichichi and Golden Boot awards, the truth is that all eyes will be set roughly 500km away from the Bernabéu. The Camp Nou will be the centre stage of a decisive Barcelona vs Atletico Madrid clash, with both teams knowing that whoever wins that game will be crowned Spanish champions. Diego Simeone's men might have a slight advantage though, since a draw at the end of the 90 minutes will also work for them. As we enter the final stages of the season, it seems safe to say that regardless of the outcome of the remainin games we have left, this year has been nothing but remarkable for Cristiano Ronaldo. Despite having had to struggle with a few injuries (especially over the last weeks), the Portuguese star has been simply unstoppable whenever he found himself on the pitch. 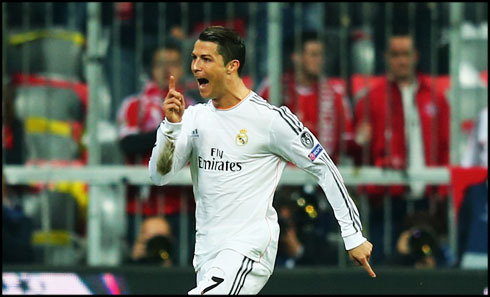 His performances in the Champions League have already allowed him to set a new competition record for the most goals scored in a single season, by setting the bar in the 16-goal mark. However, there's nothing that would please him more than coming to Lisbon next May 24 and helping the club lifting its 10th UEFA Champions League (La Décima). Cristiano Ronaldo: "I've always had this dream of winning the Champions League for Real Madrid. I honestly believe I'm already part of this club's history and I'm saying this not only because of the goals I've scored here. I'll obviously be very proud if I do surpass Di Stéfano's 52-goal record in Europe (CR7 has 51 goals right now), as I admire him a lot as a person. Fortunately, things have been going my way and I'm really happy to play a part in Real Madrid's history. I'll try to win the most titles I can for this team, because I'm well aware of how lucky I am to play for the club I love the most! ", stated the former Manchester United player. Cristiano Ronaldo: "This Champions League is a trophy the club has been chasing for a long time. Therefore and since the first day we step into this club, we feel a positive pressure for winning it. We know we are just one step away from accomplishing it this season, so we're naturally all excited with that prospect", commented the 29-year old forward. This will be Ronaldo's first European final since he lost against Barcelona in 2009, back when he was still a Manchester United player. The Portuguese star has only won this tournament once and it was precisely the year before (2008). That was also the year where he managed to win his first FIFA Ballon d'Or (previously known as the "FIFA Best Player in the World" award). 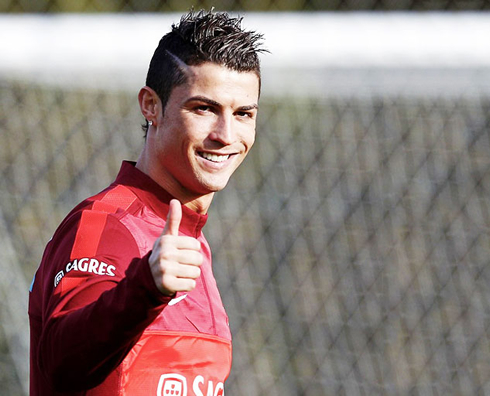 Ronaldo: "Our team is doing extremely well and we're very confident for the final. The pressure is part of football and it's something natural to exist when we play for a club as big as Real Madrid. We're used to this pressure of having to win every single game and I honestly appreciate feeling it because I believe it makes me a better player. It's like a special adrenalin to perform better! ", pointed out the Portuguese National Team captain. Ronaldo: "I hope we can keep performing as well as we've been doing throughout this season. We've managed to beat great sides playing this way and we'll need to be at our best to win against Atletico Madrid. They always play very tight and they are incredibly strong mentally. 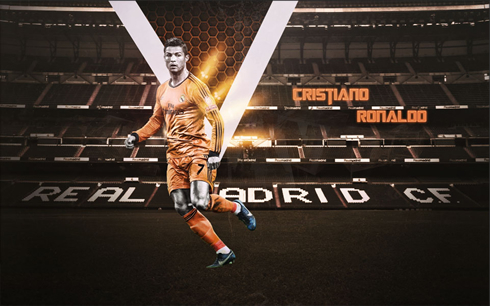 This will be a Champions League final and it's always hard to say who are the favorites and who are the underdogs. These games are always different in their own special way and I believe it will be decided on the small details", previewed the Real Madrid forward, who has already scored 50 goals this season, 16 of those in the Merengues' Champions League campaign to reach the final in Lisbon. Cristiano Ronaldo next game for Real Madrid will be against Espanyol, in La Liga's last fixture of the season, scheduled for May 17 of 2014. You can watch Juventus live stream, Real Madrid vs Espanyol, Barcelona vs Atletico Madrid, Bayern Munich vs Borussia Dortmund, and Arsenal vs Hull, all games provided from our football live section.